Why opt for hot melt commercial roofing? 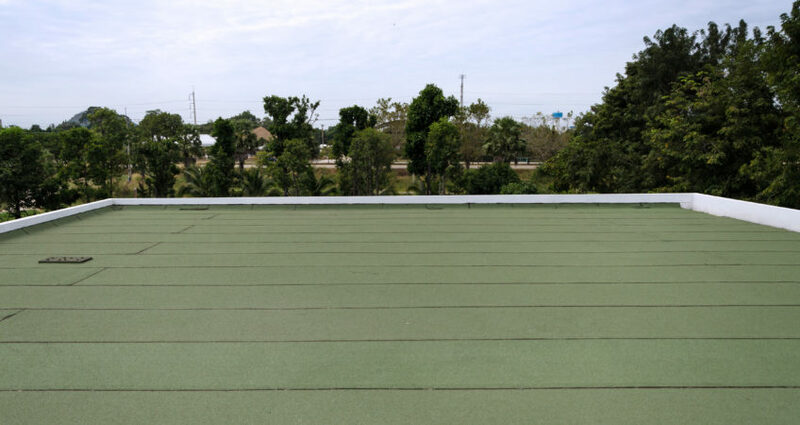 The benefits of implementing hot melt roofing onto your commercial property are numerous. The roof is protected from UV degradation, temperature damage and reduces the stress on membranes. Hot melt roofing can be completely flat if necessary, letting you achieve the visual appeal you want for your commercial roof, or achieve specific building height requirements. Hot melt allows concrete decks to be waterproofed quickly. Installation can be done quickly under winter conditions. It gives longevity to your roof by protecting it from the many elements that can be affected by. Future repairs are made far easier, and water cannot slip through the membrane and structure. Hot melt makes it so the membrane is joined to the deck, making damage easily solved and preventing water seeping through. What about costs and installation time? They’re an affordable way of either constructing a new roof that will last the lifetime of your building. For existing commercial roofs , it can simply and effectively waterproof and make your roofing extremely durable. It can remove any needs for tapered insulation or screed to falls. Installation times are very short if necessary by implementing a fast curing hot melt inverted roof system. The weather doesn’t pose a problem for hot melt roofing so this roofing solution can be installed during the winter. You can save on future repairs with little maintenance over your commercial structures lifetime, at any time. Hot melt roofing is viable on roofs that are able to take the weight of 95k/m2 to 140kg/m2. It needs to be installed considering insulation, wind conditions, drainage and overflow. This system also needs to be implemented by trained contractors. Sage BEC (formerly Sage Roofing) are licensed contractors for the leading hot melt products in the UK. Find out more about our hot melt roofing service.